Today I have something a bit different and special to offer you–Two fabulous guests instead of one talking about one of my favorite subjects and I know yours too–healthcare interior design and environments for aging! I had the pleasure of talking to Kristin D. Zeit – publisher of Healthcare Design and Environments for Aging magazines, and Jennifer Kovacs Silvis, editor-in-chief of Healthcare Design and Environments for Aging magazines at Emerald Expositions. A national award-winning journalist, Jennifer Kovacs Silvis oversees the day-to-day operation of the B2B trade publications that serve as the premier sources of information and inspiration for professionals involved in the planning, design, and construction of healthcare facilities and senior living communities. Jennifer is also a key contributor to the planning and production of the brands’ live events, including the annual Healthcare Design Expo & Conference, HCD Forum, and Environments for Aging Expo & Conference. She’s been with HCD and EFA for nine years and is the former editor-in-chief of construction magazine Healthcare Building Ideas. A veteran reporter and editor, Jennifer is a firm believer in the connection between good design and better outcomes. Kristin D. Zeit is publisher (and former editor-in-chief) of Healthcare Design and Environments for Aging, the leading magazine and event brands serving architects, interior designers, providers and operators in these industries. She has covered the commercial architecture and design industries in the media for the past 13 years, including the hospitality and retail sectors. She has a master’s degree in magazine journalism from Northwestern University’s Medill School of Journalism and her magazines have won numerous awards during her tenure for excellence in writing, reporting, and design. She also launched and manages the HCD Forum, an invitation-only education and networking event for high-level professionals in the healthcare design field. My conversation with Jen and Kristin was lighthearted and fun, and filled with that mission driven enthusiasm familiar to everyone in the healthcare design and environments for aging industry. 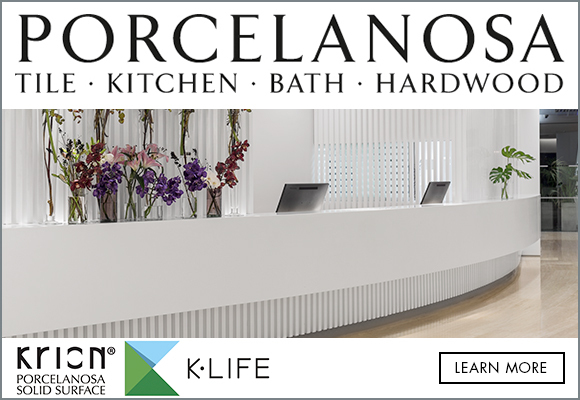 I loved learning about the latest news in healthcare and hospitality and some of the fabulous design details of senior living design projects that are popping up in cities across the country. 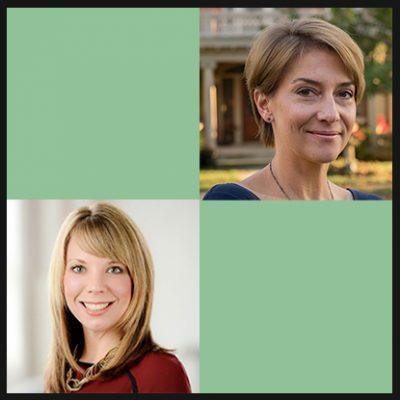 You can learn more about Kristin Zeit and Jennifer Kovacs Silvis, Healthcare Design and Environments for Aging by visiting https://www.hcdmagazine.com and https://www.efamagazine.com/. Thank you to our industry partner The Center For Health Design! You can learn more about the incredible research, advocacy, and education work The Center For Health Design is doing at http://healthdesign.org, and you can gain access to an amazing, prolific collection of healthcare design resources by becoming a Center For Health Design affiliate. And finally, thank you to The American Academy of Healthcare Interior Designers for their support of this show! Find out more about their certification program at http://aahid.org. The step by step process for working with a niche publication like HCD and EFA to gain attention for a project, especially if you’ve never done it before. What worries these two smart women about the future of healthcare design and how many designers are already aware of it. The excitement of the future of healthcare design, best practices and examples of how these projects create a positive environment for patients, families and staff. What makes for a great educational event at a conference, including selecting speakers who share the good stuff with the bad. Tips for thriving as an event sponsor or trade show exhibitor. Why healthcare design is important to Kristin and Jennifer may or may not surprise you. How hospitality and healthcare are merging to create as Jennifer says, a “hospital has to be hospitable”. Learn about the exciting projects in Environments for Aging that are changing the face of senior living communities for the better. Examples of memorable stories and projects in HCD and EFA. The process of HCD and EFA competitions and award ceremonies, and how winners are selected. Important save the dates for the next HDE (Healthcare Design Expo and Conference) and EFA (Environments for Aging Expo and Conference).